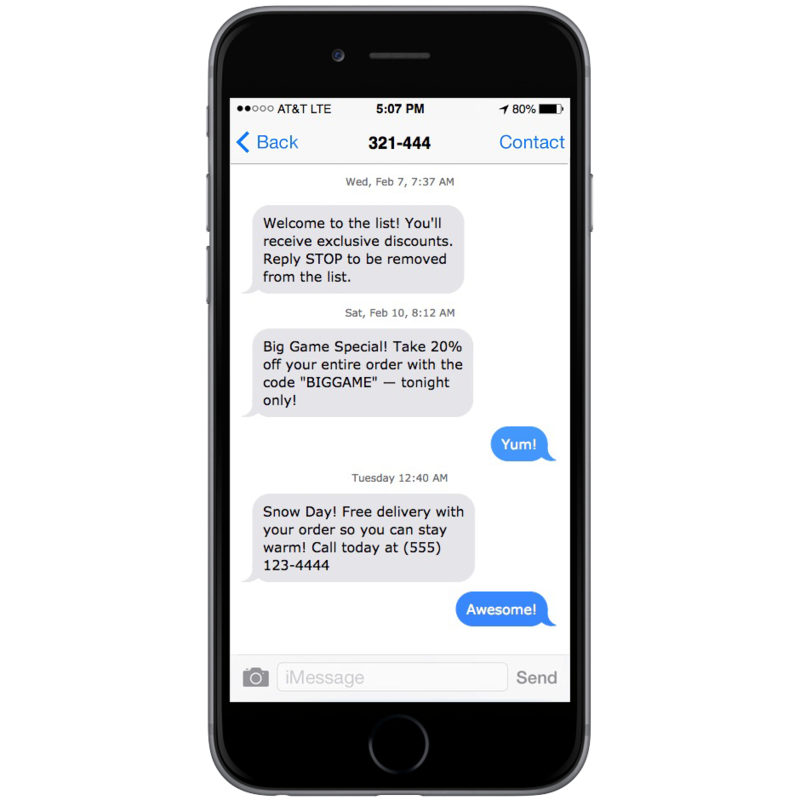 With Calaboration Text Message Marketing, you allow your clients, customers, patrons, and audience to interact with you at a more personal level. Drive traffic to your eatery, store, or simply stay in touch and update frequent patrons. Stay in touch with homebuyers, potential sellers, and anyone else looking for market insights or updates on your open houses. 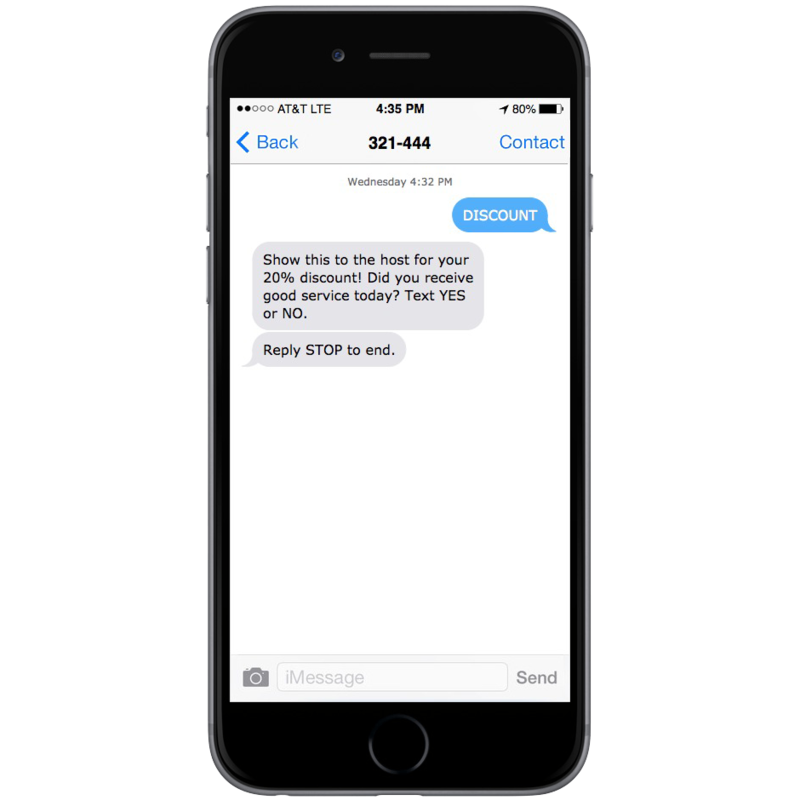 Restaurants that utilize SMS in their marketing strategies see 25% more foot & call-in traffic on the days that special offer texts are blasted to the list. Storefronts, bakeries, shops, and plenty of other businesses benefits similarly from having instant and intimate access to their clients and patrons. 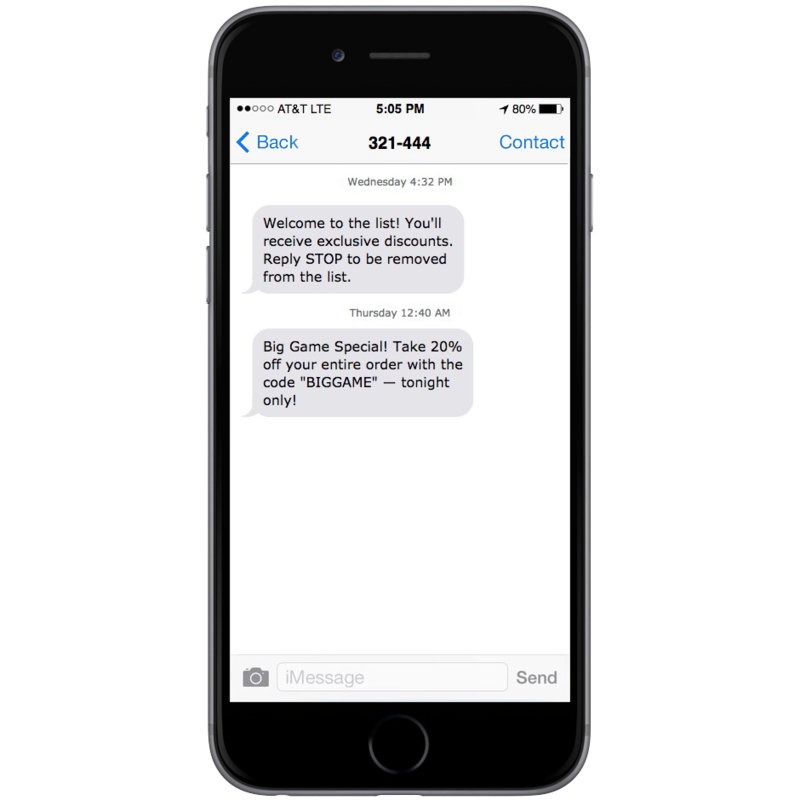 Phone numbers can be obtained by offering discounts after joining the list or simply asking during a call-in takeout order! 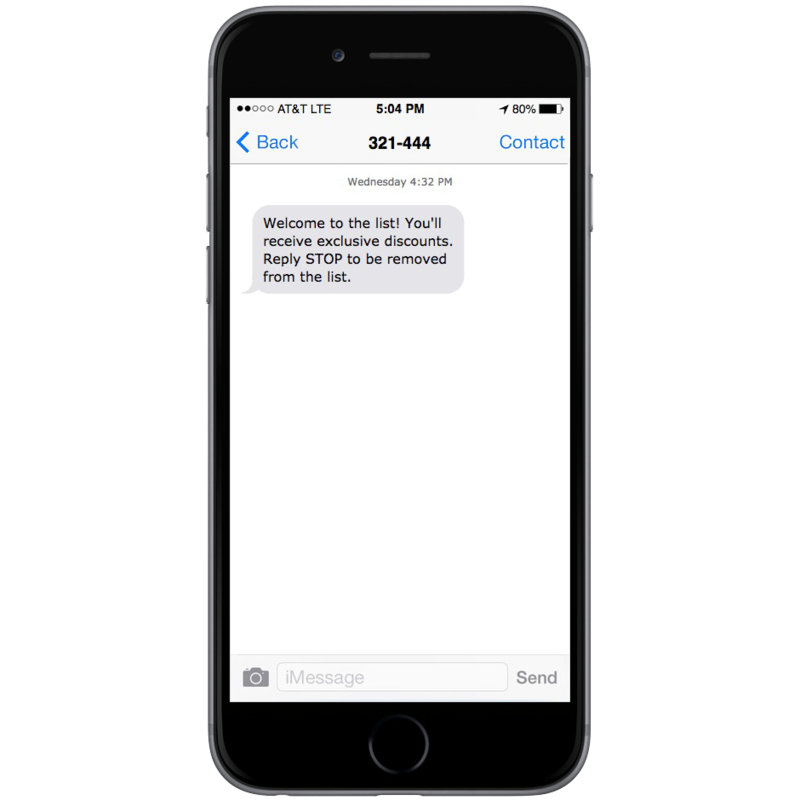 Real estate agents and brokers keep the shortcode displayed so it’s always easy for a happy client to text their review and/or join the list. Calaboration’s Text Message Funnel allows for an automated system that’s always listening and interacting with users. After automatically politely asking how the experience was, if was pleased, they’ll be directed to the review page, if not, they’ll be given a custom landing page to input feedback that only you see. 👍 Good reviews should be live on the web. 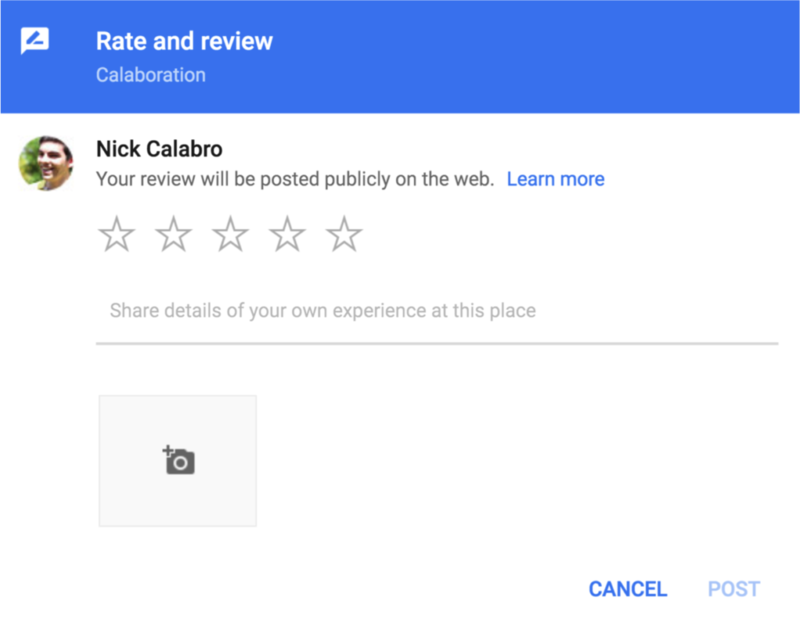 Ask their positivity before asking for the review — Happy clients get to leave a review. 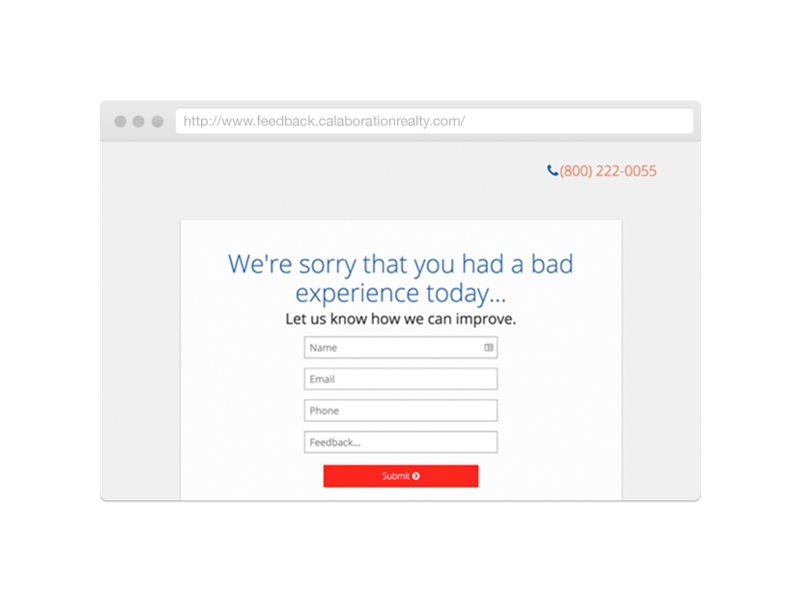 Negative feedback in your inbox, not live on the web! 👎 No one wants poor reviews. If we find out your client is unhappy, instead fo asking for a review we ask for private and personal feedback through a webpage. and growing your business while you sleep. 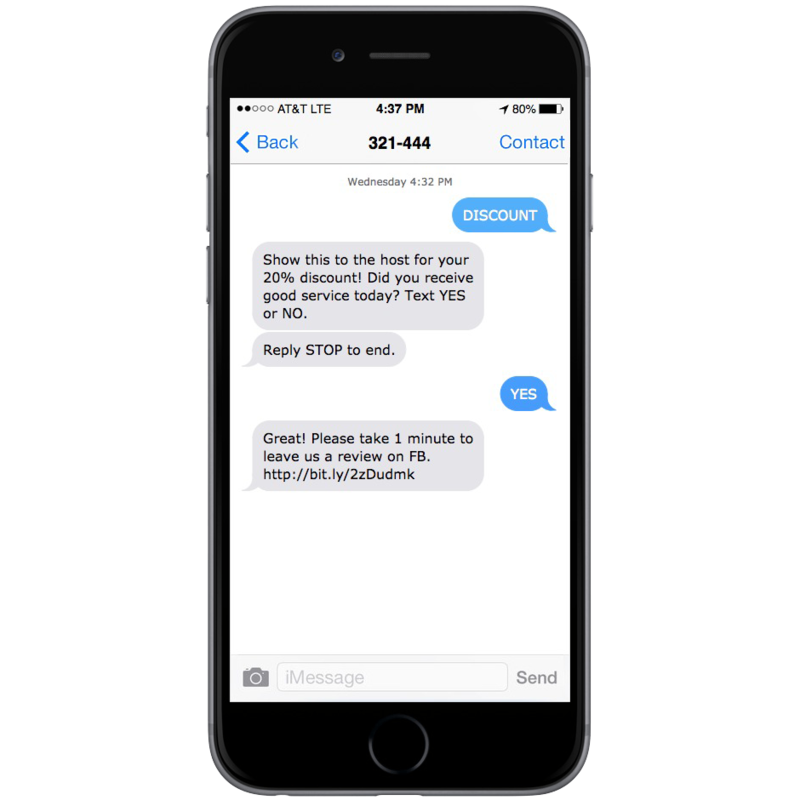 The minimal benefits you can get form SMS Marketing are positive reviews. It applies to any and every business and is a crucial to drive traffic to your website and online presence. 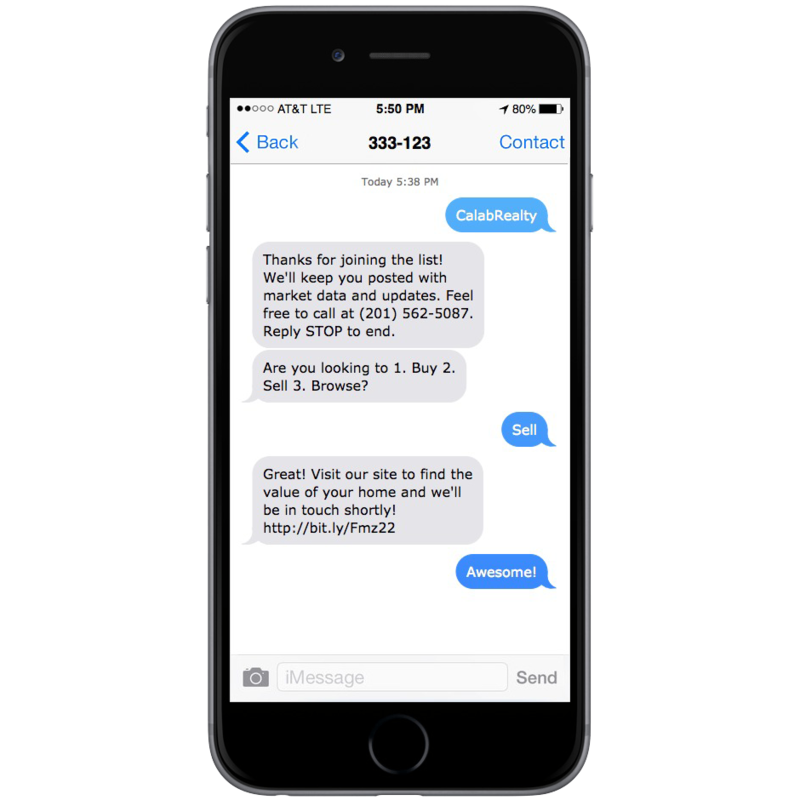 The minimal benefits you can get form SMS Marketing are positive reviews. It applies to any and every business and is a crucial to drive traffic to your website and online presence.